A new lawn mower can help you save significant time and energy while trimming your grass to a healthy height. 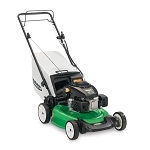 We carry efficient and effective lawn mowers to help you make short work of lawn maintenance! 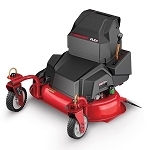 A-Z Appliance Heating & Cooling offers a variety of lawn care equipment, ranging from riding mowers, electric, push mowers and weed trimmers. If you have any questions about our lawn mowers, call us today to learn more!